Peacocks is somewhere that I’ve often shopped for clothes for myself but I’ve never really though to look at their children’s clothing. 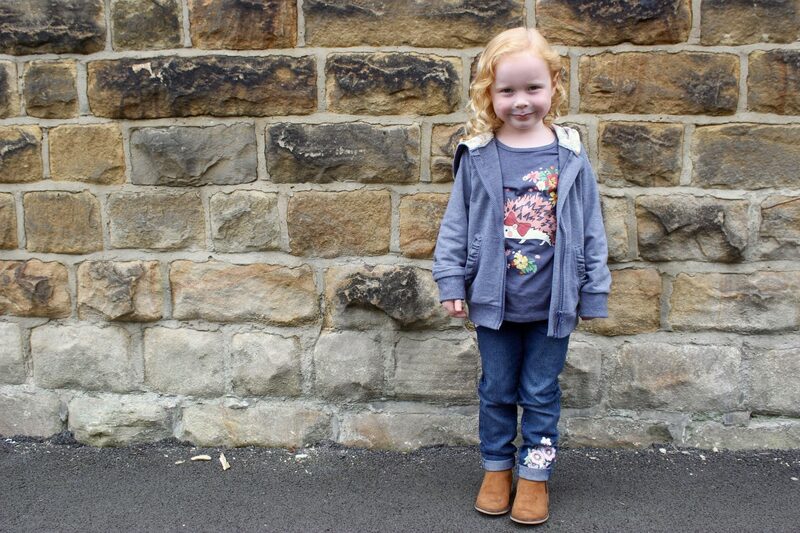 They kindly send Evie a few items from their autumn winter range and I am so impressed with them! 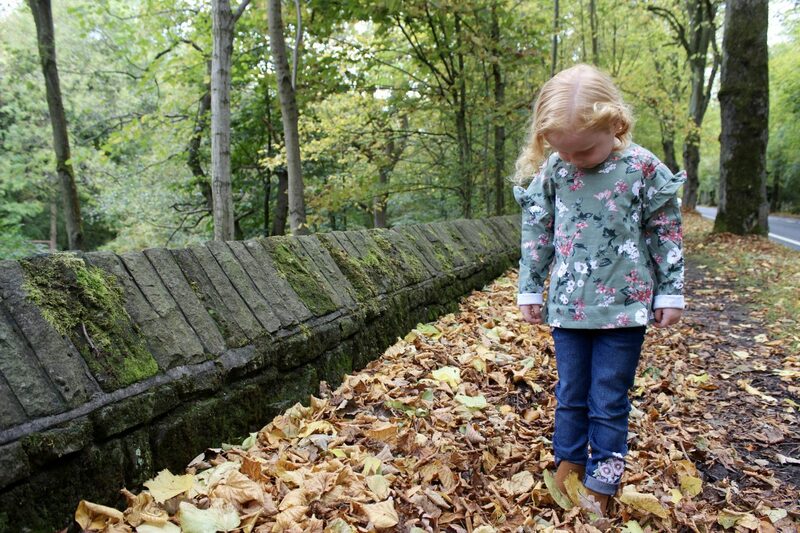 I think this has to be my favourite item that we received, it’s just such a staple item for autumn and I love the frill detail. 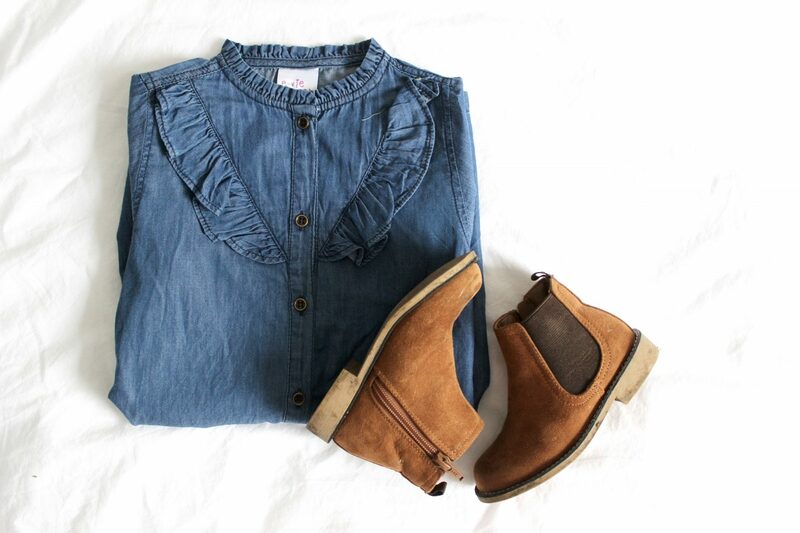 How pretty is this top? 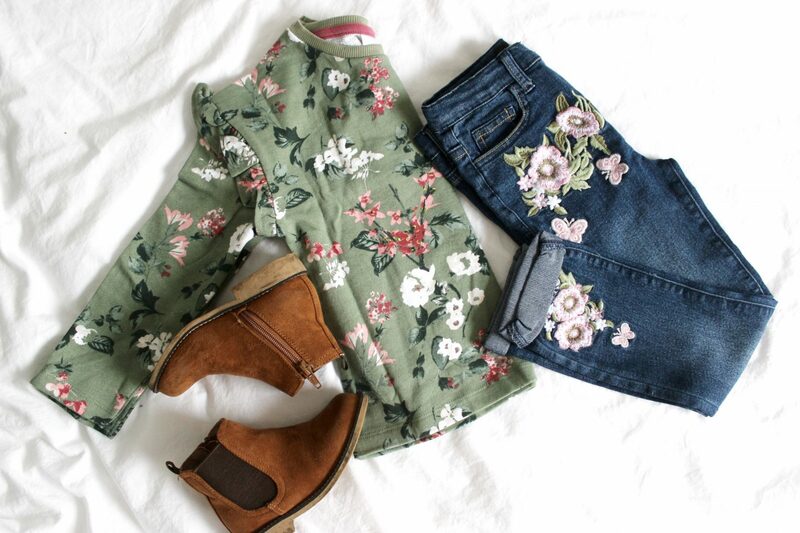 I really like florals on Evie anyway, but add to that the gorgeous green colour and frills and this is just perfect for autumn. 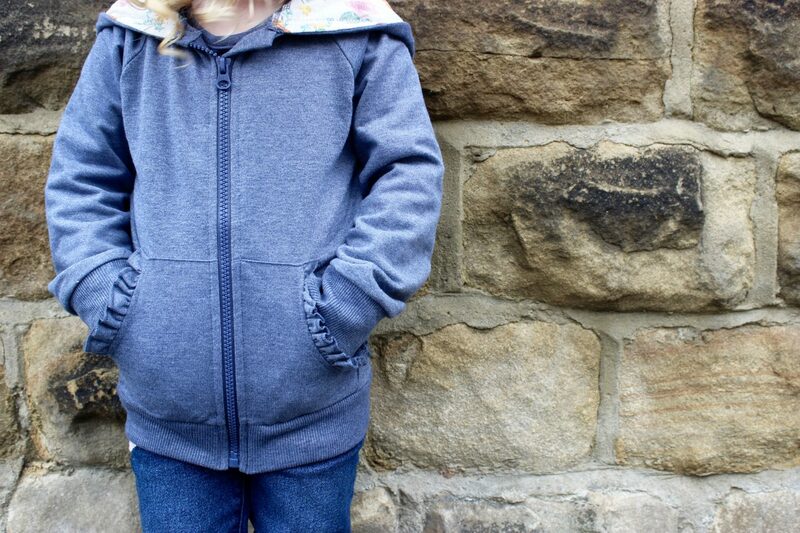 Evie loves hoodies so she was really pleased when she saw this one in her parcel. I like the neutral colour, meaning it will go with just about anything in her wardrobe. 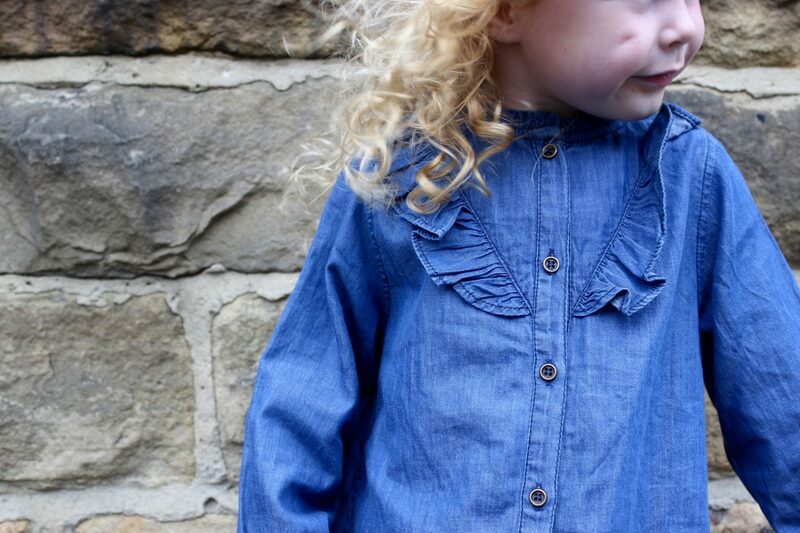 And those ruffles around the pockets are super cute! 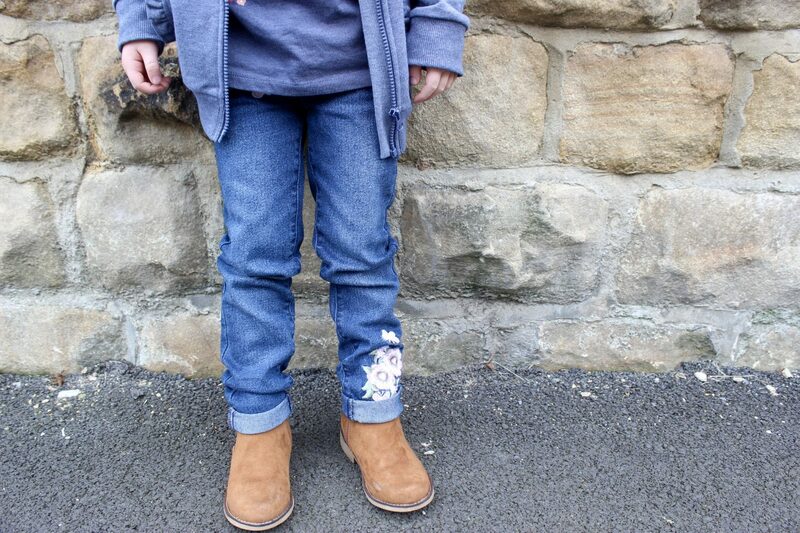 When I first looked at these jeans I was worried that they would be too big around Evie’s waist but thankfully I discovered the waistband is adjustable and they fit her perfectly! 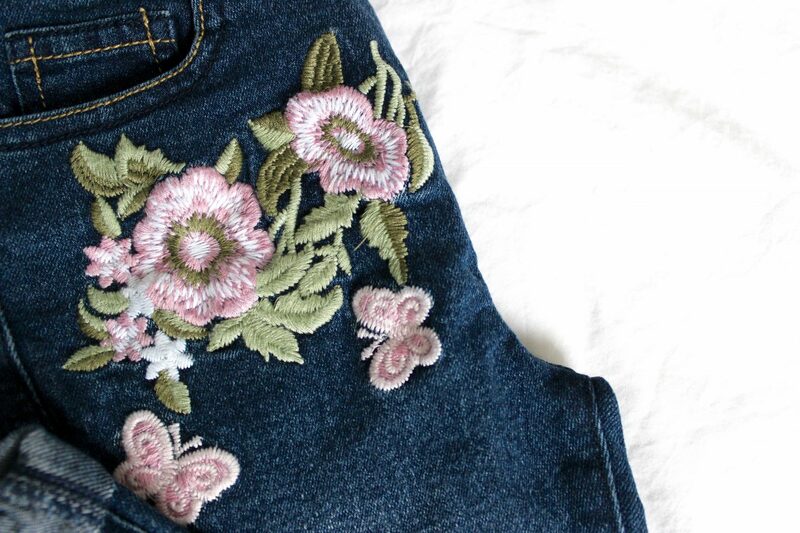 The embroidered detail is so pretty and adds some fun this wardrobe staple. I cannot believe that this t-shirt is only £3! 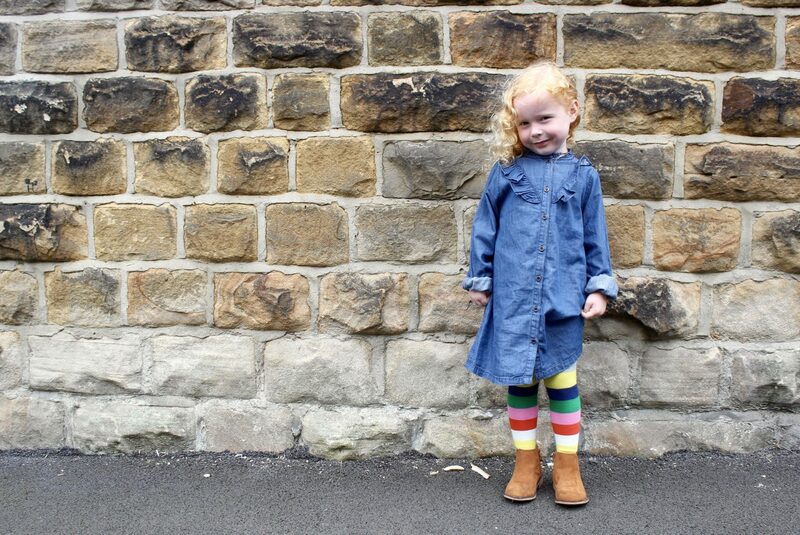 This would be perfect if you have a child at nursery and you don’t want to send them in expensive clothing that they might ruin. The quality is lovely too so for £3 you really can’t go wrong! I am so pleased with the items that we received from Peacocks. 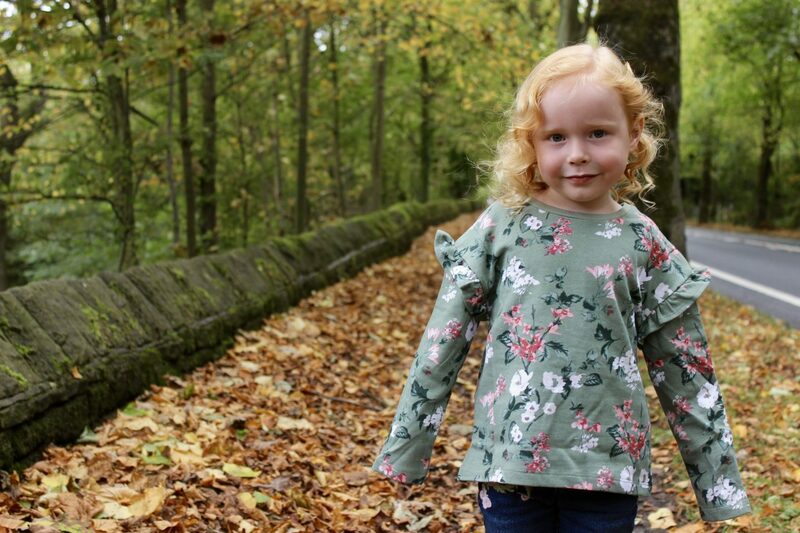 I especially love the denim dress and floral top which are so pretty and perfect for autumn, I can see Evie getting a lot of wear out of them. The quality appears to be really good, and the prices are very reasonable too. 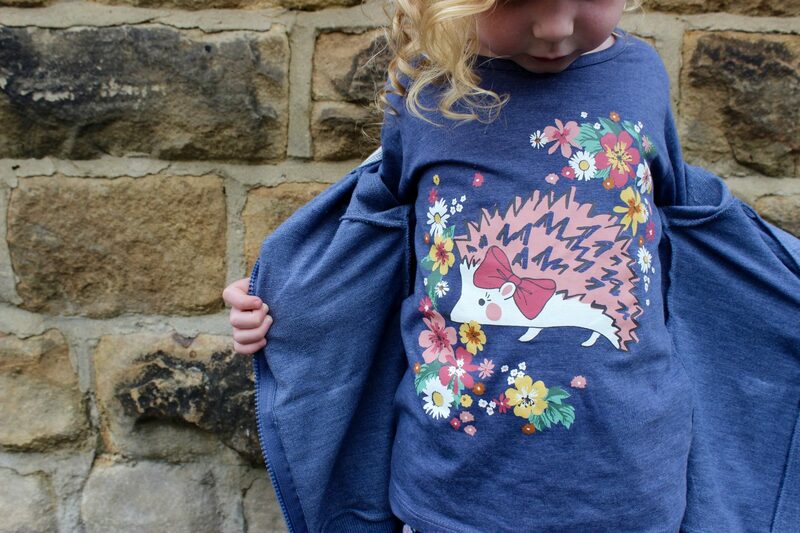 I still cannot believe the hedgehog tee was only £3! 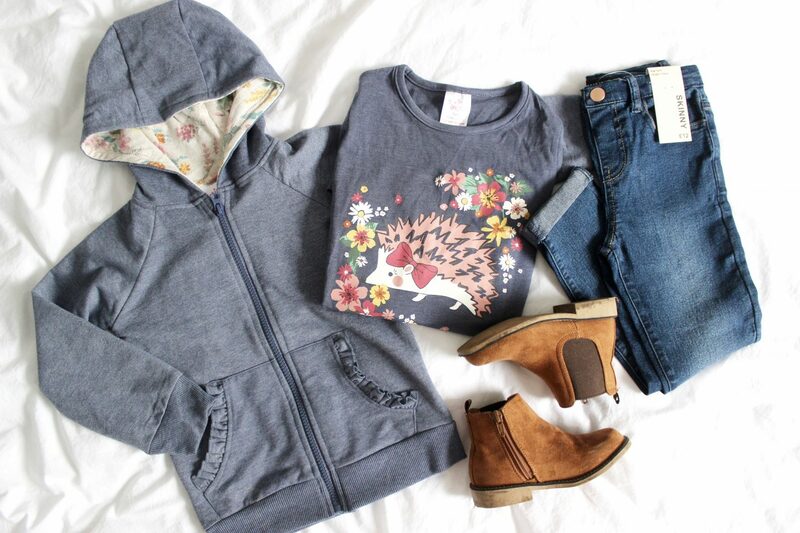 Do you shop at Peacocks for children’s clothing?